AFP is reporting that Lampre team leader Damiano Cunego has pulled of the Tour, after injuries suffered on a crash during today's 18th stage. 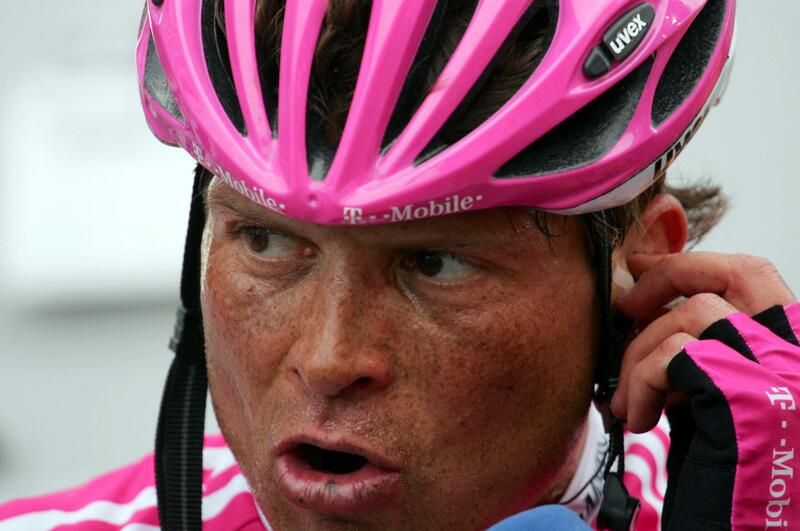 Cunego fell face-first, and injured his chin and chest. He struggled alongside 3 teammates to finish within today's time cutoff (20:12 behind winner Marcus Burghardt), falling from 14th overall before today's stage to 20th at stage's end. It was the 3rd crash of the 2008 Tour for Cunego, who won the Giro d'Italia in 2004, then took the white jersey in the 2006 Tour de France. His biggest win of 2008 was the Amstel Gold Race, and he reportedly was targeting the Beijing Olympic road race in August. "I want to really thank my teammates — they waited for me and helped me back, although at one point I wasn't sure of finishing within the time limit,” he said. "One of our team managers suggested I should just pull out. I didn't want to as that would have risked my teammates missing the time limit as well." There had been some doubt that Salvatore Commesso could take the start Saturday, after a collar-bone fracture and dislocated shoulder in training. Team doctors say he's all right, so the team is as originally announced on the Tour's provisional start list. 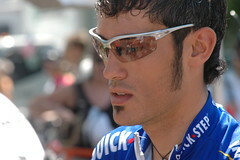 Allen Davis took the last stage of the Tour of Murcia, with his teammate Koldo Gil taking the overall. Davis won two of five stages on the Tour, and Gil took the overall lead on Saturday's stage, when he and Pedro Arreitunandia rode away from Damiano Cunego on the day's last climb. Gerolsteiner's Levi Leipheimer was 6th overall. Graham Watson has posted his photos from today's potentially decisive stage at the Giro d'Italia. As usual, he's right in the middle of the action.